Salvation And Survival: What Does It Mean to "Be Submissive"? What Does It Mean to "Be Submissive"? I know it may be difficult to think that in this day of radical feminism and advocacy of equal rights for women on political, social, and economic grounds, that there are those who believe that a woman's place is in complete servitude to a man. Nowhere can this be more abused than in the covenant of marriage. I am writing this blog on behalf of all women who are struggling to understand their role as "wife" from a Biblical perspective. So, here is the dilemma: most women honor and respect their husbands, but how do we reconcile the Scripture that is often used by the Church [and well-meaning pastors] to preach that wives should "submit in everything to their husbands, as the Church submits to Christ". I'm sure you are all familiar with this chapters in Ephesians that instructs us on the unity in the Body of Christ, including the relationships between Husband and Wife, and Parents and Children. Ephesians 5:22-24 reads as follows: Wives, submit to your own husbands, as to the Lord. 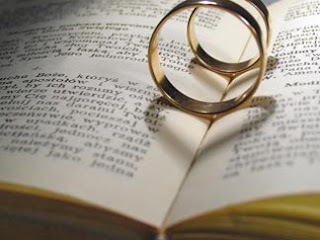 For the husband is the head of the wife even as Christ is the head of the church, his body, and is himself its Savior. Now as the church submits to Christ, so also wives should submit in everything to their husbands. This passage is often interpreted that wives should be "submissive" in their relationships with their husbands. Can you see how this explanation can be wrongly used to keep a woman from her full identity in Christ -- especially if it is misapplied by an abusive husband? Let's take a deeper look at what the Bible is telling us in this important and defining passage. What is often overlooked in the discussion on this particular Scripture are the verses just preceding verse 22. In Ephesians 5:20-21, the Bible says ... giving thanks always and for everything to God the Father in the name of our Lord Jesus Christ, submitting to one another out of reverence for Christ. When we are filled with the Spirit, it will show by our mutual submission to each other; and the submission will be done in the fear of God, not the fear of man. The word "submit" in this context literally means "to be under in rank". What this indicates is that all of us are under the dominion and authority of Christ. And, yes, it does indicate that in the covenant of marriage, there must be rank, i.e., the husband is the leader in the marriage, and the wife is his helpmate. But, there is more to it than that. In many of the best ancient Greek manuscripts, Ephesians 5:22 doesn’t even have the word submit. It simply reads wives, to your own husbands. When Paul admonishes wives to submit to their husbands, it is in the idea that wives recognize that there is an order of authority; the husband is the leader, and that they are part of a unit, a team. He is making it clear, that as an individual, the wife is not more important than the working of the unit or the team. But, sadly, too often this Scripture is used to subjugate women and suppress their spirits. Now, let's take another look at the Scripture in question ... Wives, submit to your husbands, as to the Lord. Let's begin with the "to your husbands" portion. This defines the sphere of a wife’s sub-mission. The Bible never commands a general sub-mission of women unto men in society. This order is commanded only in the spheres of the home and in the church. "As to the Lord" ... this is the crucial phrase. There are those within the Church who interpret this to mean that it “favors” the husband. They will say that As to the Lord means that a wife should submit to her husband as if he were God himself. The idea is “you submit to God in absolutely everything without question, so you must submit to your husband in the same absolute way.” Wrong! Simply put, in no place does the Scripture say that a person should submit to another in that way. There are limits to the submission your employer can expect of you. There are limits to the submission the government can expect of you. There are limits to the submission parents can expect of children. In no place does the Scripture teach an unqualified, without exception, submission -- except to God, and God alone. To violate this is to commit the sin of idolatry. BUT, it is very important to take into account if the husband is loving his wife as Christ loves the Church. This has nothing to do with whether or not the husband is “right” on a particular issue. It has to do with Jesus being right, and the two being right in their understanding of the marriage covenant. When they submit to each other in marriage, they must have "a team attitude". There is a natural order in a marriage, with the husband being head of the family, as Christ is head of the Church. But Scripture also tells us, So husbands ought to love their own wives as their own bodies; he who loves his wife loves himself. For no one ever hated his own flesh, but nourishes and cherishes it, just as the Lord does the church. Paul goes on to say, Husbands, love your wives. Though wives are to submit to their husbands, it never excuses husbands acting as tyrants over their wives. No husband is entitled to say that he is the head of the wife unless he loves his wife. The wife is the one who is kept, preserved, guarded, shielded, provided for by the husband. That is the relationship -- as Christ nourishes and cherishes the church, so the husband nourishes and cherishes the wife -- and the wife should realize that that is her position in this relationship. The initiative and the leadership are ultimately the husband’s, but the action must always be co-ordinated. That is the meaning of this picture -- co-ordinated action, but leadership in the head. There is no sense of inferiority suggested by this. The wife is not inferior to her husband; she is different. And finally, we must address the concept as expressed in the last part of verse 24: wives should submit in everything to their husbands. Are there any exceptions to "everything"? Absolutely! When the husband asks the wife to sin, she is free from her obligation to submit. When the husband is physically abusive, and endangers the safety of the wife or children, the wife is free from her obligation to submit. She does not have to submit to his violence. When the husband breaks the marriage bond by adultery, a wife does not have to submit and just accept it. The Bible says she has the right to “come out from under his rank” in such cases. If the husband has been guilty of adultery the wife is no longer bound to give him obedience in everything. She can divorce him, she is allowed to do so by the Scripture. I know that this topic and its discussion can be exhaustive, but it is an important one to have, especially if a daughter of the Kingdom finds herself in a marriage that strains her ability to perform her sub-mission before the Lord. As you can tell, Paul (and the Lord) take the subject of marriage and the subsequent roles of husband and wife seriously. And so should we. 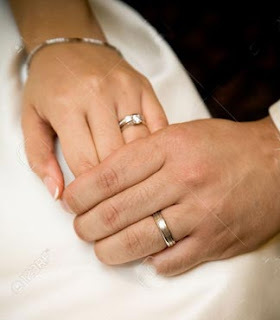 We would do well to caution our children to take the choice of marriage partner seriously. It is in service to the Lord that we enter into such sacred partnerships. We owe it to ourselves, our spouses, and our Lord and Master to choose wisely. Ephesians 5:32-33 This mystery is profound, and I am saying that it refers to Christ and the church. However, let each of you love his wife as himself, and let the wife see that she respects her husband.